Even when located on your property, electrical equipment is the property of Flathead Electric, and must remain accessible to Co-op crews at all times. Why? Emergencies: In the event of a fire, crews must be able to shut the power off before firefighters can begin their work. Every second counts during such a critical event. 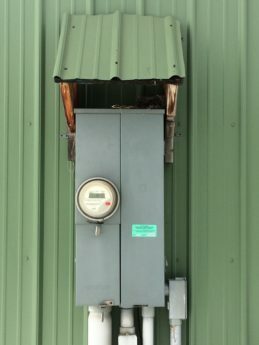 Maintenance: Flathead Electric routinely checks and maintains the meters to make sure equipment hasn’t been damaged and is in good working order. Outages: Some equipment must be accessed in the event of a power outage. inaccessible equipment causes longer outages for you and your neighbors. If we can’t access equipment, we have to contact the member and return at a later date. That’s inefficient for our workforce, costly to your Co-op, and it could be dangerous in an emergency situation.Thank you for keeping everyone safe by keeping electrical equipment on your property accessible! Electric meters are the property of Flathead Electric and must be accessible by Co-op crews. 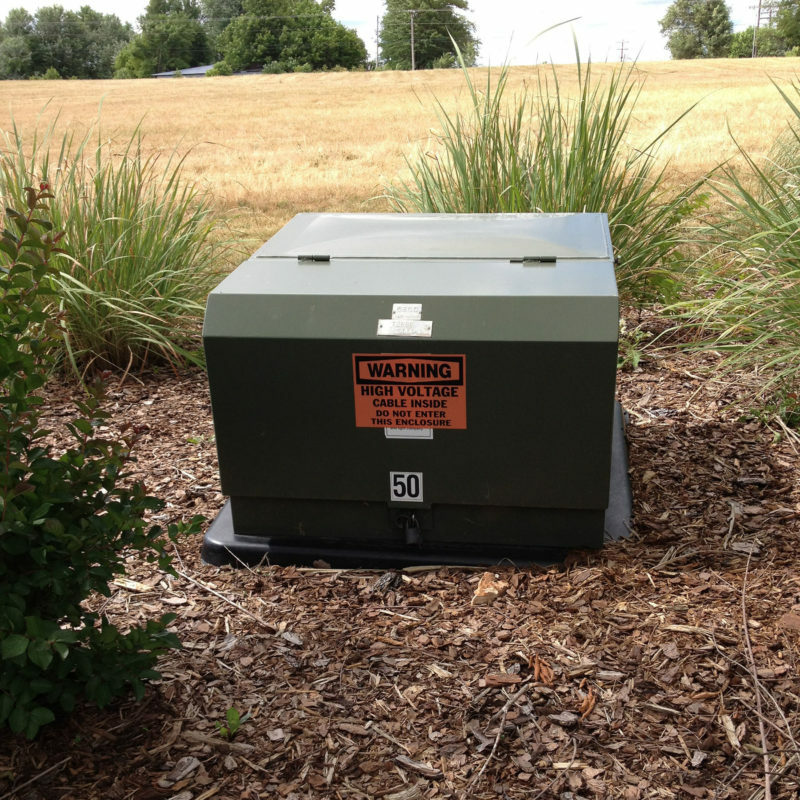 Some members have opted to enclose the electric meters on their property for aesthetic purposes. Enclosed meters must still be accessible (unlocked hinged door, for example) and unobstructed. 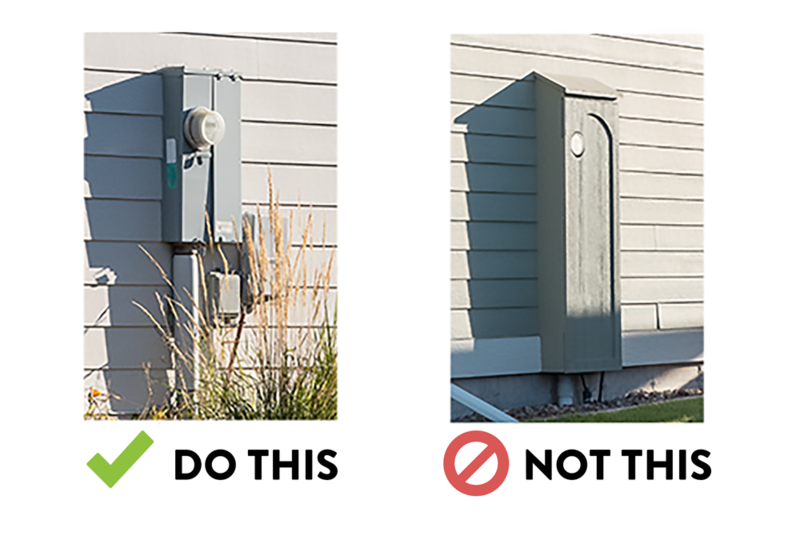 FEC has worked with state electrical inspectors and local fire departments to come up with this list of criteria to safely enclose meter bases. 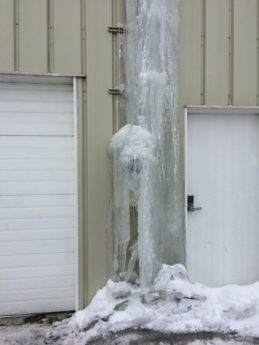 Heavy snow and ice coming off your roof can damage Flathead Electric’s meter or your electric equipment, which may cause outages and lead to costly repairs. To avoid broken or damaged meters and equipment, members should consider placing a protective structure over their meter base in areas where heavy snowfall or ice buildup is likely. In the case of a coded gate, the property owner can provide Flathead Electric Cooperative with a gate code or 24/7 contact information enabling us to gain immediate access to equipment. Some systems allow you to set up additional codes just for utilities and other approved visitors. The code will only be used to access our system and will never be shared outside FEC. 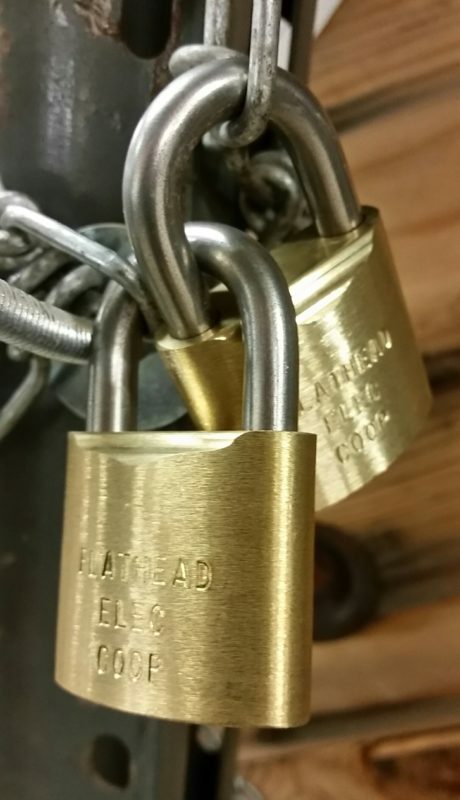 In the case of a gate requiring a key, Flathead Electric Cooperative can furnish a lock (right) for the property owner enabling both the property owner’s key and a key retained by Flathead Electric Cooperative to work. We respect your privacy and right for security as a property owner, and we will only access our equipment when necessary to provide reliable and safe service to our members. Flathead Electric crews need room to work safely around padmount transformers. Please keep shrubs and fences 15 feet away from the side with doors and 5 feet away from all other sides. Obstructions closer to the transformer may be damaged or removed during service restorations and maintenance.